Well drafted contracts and up-to-date policies are key to fostering good employment relations and avoiding costly litigation. We work with a wide range of businesses across multiple sectors, including, amongst others, financial services, IT, retail and transport, and have the expertise to prepare bespoke documents for your business. From contracts of employment and employee handbooks, to settlement agreements, we draft and advise on all types of employment documentation to help protect your business interests. We also frequently review and update clients’ documentation to ensure that it complies with changes in the law, e.g. family rights, equal opportunities, etc. Discrimination claims are often complex and can cause irreversible reputational damage to an employer. Our market-leading team has considerable experience in helping clients comply with anti-discrimination laws, and we can provide strategic input to help you avoid and, if necessary, deal with potential claims through the most appropriate dispute resolution channel. Business reorganisations often take place in turbulent times. We understand that this means you look to us to smooth the way toward a successful outcome. Our team can help you reshape your workforce, whilst minimising risk. We have significant experience of guiding clients through restructuring processes and advising on all aspects of redundancy exercises to minimise exposure to employment disputes, e.g. unfair dismissal and breach of collective consultation obligations. Careful planning is vital to a successful reorganisation, and our team is equipped to assist you from day one of the process to achieve your short and long-term business aims. It is in the employer’s and employee’s best interest to ensure a carefully managed exit. In particular, a disgruntled employee or a procedurally-flawed dismissal could trigger a lengthy and costly dispute. We frequently advise on issues relating to termination, such as disciplinary and grievance procedures, restrictive covenants, and redundancy payments, and help clients achieve effective employee exits whilst protecting the business. Employment disputes are often costly and can inflict substantial damage to a business’s goodwill. Our pragmatic team aims to help clients focus on preventative measures to reduce the risk of employment disputes. However, we are also experienced litigators in the courts and employment tribunals. We have dealt with a wide range of claims, including claims in the Employment Tribunal, the High Court and the appellate courts, and can draw on this experience to help you identify the most robust, practical and cost-effective solution for your dispute. Most corporate transactions, including the sale or purchase of a business, and the outsourcing/insourcing of a service, require careful consideration in respect of the employment issues they can create. In particular, TUPE is a notoriously complex, and sometimes opaque, piece of legislation that can create additional duties and costs for an employer in a corporate transaction. Our team can work closely with your business to manage both the legal and commercial risks arising from your transaction, by undertaking due diligence, securing contractual protections, and reviewing, drafting and negotiating relevant agreements. The UK Senior Managers and Certification Regime (SMCR) will soon add another layer of regulation on to the financial services sector. In addition to the financial regulatory considerations, the SMCR also triggers a wide range of employment considerations, such as remuneration rules and whistleblowing obligations. With one of the largest banking and finance practices in the UK, Dentons has the in-depth sector knowledge to help you prepare for, and navigate, the new landscape under the SMCR. We work with both corporate entities and individuals to meet their personal needs. We are experienced and knowledgeable about the workings of UK Visas and Immigration and the Immigration Rules. 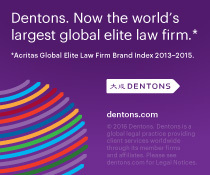 Employers, entrepreneurs, investors and professionals rely on Dentons’ business immigration practice to develop strategies and practices to meet staffing needs in a globalized labour market. We can provide sophisticated and creative solutions to complex problems. We can handle all business visa applications, including short and long-term temporary working visas, visitor visas and short stays as well as visas for high net worth individuals and entrepreneurial migrants. Employee benefits is a broad area and one where Dentons can offer you the best commercial and practical advice to motivate and reward your team. We can help you set up, run and reconfigure the full range of reward schemes from share and option schemes through life assurance all the way to complex bonus schemes linked to business specific exit events. Our team is configured to suit you and can include employment, tax, corporate and share scheme lawyers depending on what you need. Our pensions team can advise you on the full range of pensions issues, both contentious and non-contentious. We deal with scheme advisory, transactional, drafting and litigation matters for our clients and have particular expertise in dealing with pensions issues at the cusp between the private and public sectors.